The holidays are a time for giving, being thankful and celebrating with family and friends. 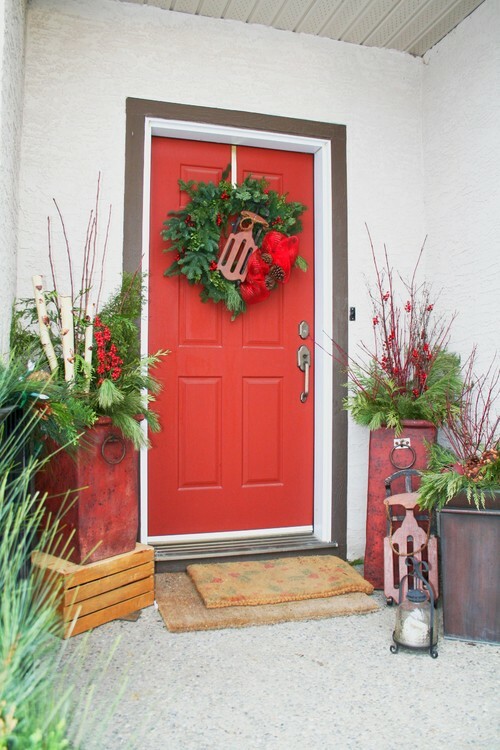 If you will be hosting Christmas gatherings this year, you will certainly want your home to be filled with holiday cheer and warmth that will welcome your guests and make them feel at home. 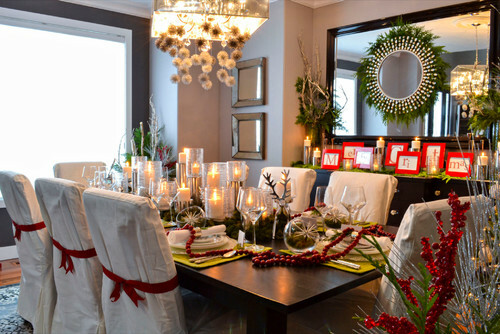 While the perfect lighting is pleasing to the eye, delicious foods delight our taste buds, and fires make us feel warm and cozy, there is one more sense you must consider if you want to truly fill your home with Christmas spirit. The smells that we associate with Christmas, such as pine, cinnamon, cloves and gingerbread, are essential to creating a cheery, warm atmosphere to celebrate the season. Those of us who live in Southern California are fortunate to have the option of hosting our holiday gatherings outdoors, which gives us more flexibility when it comes to party themes and decor. Since the smells of the season are an important part of holiday gatherings whether held inside or on your patio, read on for tips that will inspire you to bring warmth and holiday cheer to your indoor and outdoor entertaining areas by incorporating seasonal scents. We all have our own set of smells that remind us of Christmas, depending on how and where we grew up, but there are some smells that just about everyone will recognize as part of the holiday season. Most of these scents can be successfully combined to create a layered aroma that is even more appealing than the individual scents on their own. Some particularly popular combinations include balsam and cedar, apples and cinnamon, and orange and cloves. It is actually pretty easy to bring seasonal scents into your home, and the biggest decision you will need to make is whether you want go with the convenient, chemical, commercial creations that are widely available during the holidays, opt for healthier, eco-friendlier, store-bought options, or make your own homemade, scented delights to greet your guests with aromas that are naturally inviting. 1. Scented Candles – You can easily find season-appropriate scented candles at any retailer that sells home decor. It is best to opt for naturally scented soy candles whenever possible, or you can make your own scented candles with soy wax flakes and essential oils or fragrance oils. 2. Scented Flameless Candles – Flameless candles are a great option for homeowners with small children or pets, or who simply want to avoid the fire hazard of having open flames at their social gatherings. Flameless candles have come a long way in the past few years, and it is now possible to find wax candles with realistic wicks. Some options run on batteries and some come with a base where you can recharge them. Scented flameless candles do double duty by adding to the party atmosphere with their delicate scent and soft light. 3. Wax Melts – These little wax cubes come in a huge variety of scents and are designed to melt in a decorative warmer. These decorative warmers and the wax melts are readily available at stores that sell home decor, gift shops and craft stores. 4. Incense – Burning incense is an easy, inexpensive way to bring inviting smells into your entertaining spaces. The scented smoke will waft around the room or patio to spread out the scent nicely. 5. Fragrance Oils – Fragrance oils (not to be confused with essential oils) can be used to scent candles, soaps and potpourri, or they can be warmed in oil warmers that are similar to wax melt warmers. Some warmers can be used for both oils and wax melts. 6. Essential Oils – Essential oils are natural oils that are plant based (as opposed to fragrance oils, which are chemical based). High-quality essential oils can be a little pricey, but a little goes a long ways, particularly if you use a vapor diffuser to spread the scent throughout the space. Pine, vanilla, cinnamon, peppermint or clove are all examples of essential oils that work well for holiday gatherings. 7. 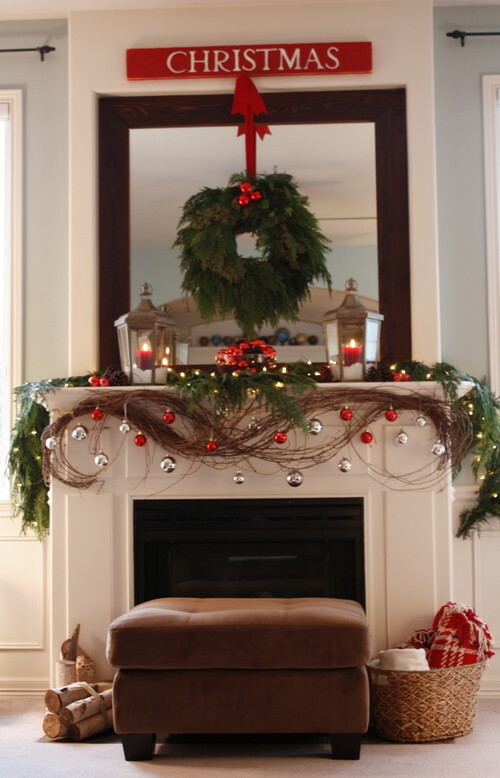 Fresh Boughs – Using freshly cut pine or fir boughs will bring the smell of Christmas trees to your party. You can cut boughs from your own trees, visit a tree farm to purchase or gather trimmings, or purchase fresh boughs from a garden center to make your own garlands, centerpieces or wreaths. 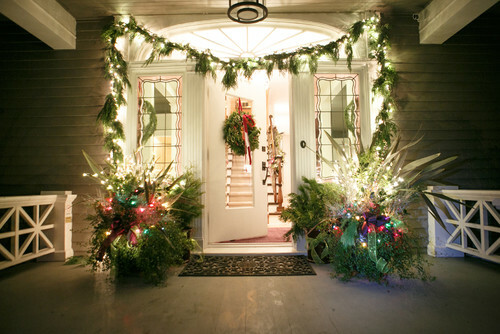 Alternatively, you can purchase a pre-made wreath or garland made from fresh boughs. You can then use these items to decorate your patio table, doors, canopy or end tables. 8. Air Fresheners – Commercial air fresheners may be filled with chemicals, but they are also an easy way to quickly bring some holiday cheer into a space with almost no effort. They are widely available in seasonal fragrances at grocery stores, drug stores and home improvement stores, and they are generally inexpensive. Unless you purchase an automatic delivery system that will continue to freshen the air throughout your party, these scents will not usually linger very long when used outdoors. 9. Natural Room Sprays – All-natural room sprays can be purchased at farmers’ markets, some gift shops or online at sites that specialize in homemade goods, such as Etsy. Alternatively, you can easily make your own scented room spray by mixing distilled water or vodka with a few drops of essential oil in a spray bottle. It is best to store all-natural room sprays in the refrigerator when not in use. 10. Plug-In Oil Warmers – Plug-in oil warmers are relatively inexpensive and can be found at drug stores, grocery stores and larger retailers like Target or Walmart. Most of these use chemical-based fragrance oils, but they do release a good amount of long-lasting scent into the space. During the holiday season, the companies that produce this type of oil warmer offer Christmas-worthy options with names like Sparkling Spruce and Evergreen Adventure. 11. Reed Diffusers – These decorative diffusers are quickly gaining popularity as homeowners look for more attractive ways to bring welcoming scents into their homes without taking away from the overall look of their decor. This attractive option continuously delivers a soft scent into the air to add subtle fragrance to enhance the atmosphere of your party. Most of the reed diffusers you find at drug stores, Target, Walmart or other stores that sell home decor will be made with chemical fragrance oils, but you can find all-natural oils to use as well. 12. Orange Pomander Balls – Making orange pomander balls is a super-simple craft project that you can do with your kids or while watching a movie a couple of weeks before your party. All you need is an orange, whole cloves, something thin and sharp to poke holes in the orange, a bowl with some spices and a ribbon (if you want to hang your pomander). These can be used as a decorative centerpiece, can be placed in closets to use as a sachet, hung on your Christmas tree as an ornament or strategically placed around your outdoor entertaining space to give off a lovely citrus-spice scent. To make an orange pomander ball, use a toothpick, safety pin or ice pick to poke holes in an orange. Then push a clove into each of these holes. Once you have finished your design of cloves on the orange, roll the orange in a bowl with your spice mixture (usually a mix of nutmeg, cinnamon, ground cloves, ginger and orris root powder). 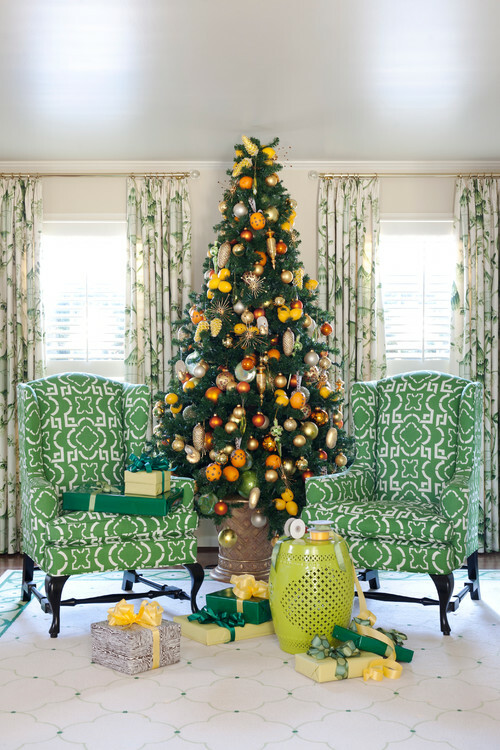 If you plan on hanging your orange pomander, wrap a ribbon around your orange. Finally, let your orange dry for a couple of weeks before putting it on display. 13. Scented Pine Cones – Almost every store you walk into during the holiday season seems to have net bags of pine cones that smell strongly of cinnamon. While most of these are not naturally scented, they do give off a strong fragrance, they are inexpensive and they are attractive, which makes them a great option for making your home or patio smell like Christmas. If you prefer a naturally scented pine cone that you can actually burn in your fire pit or outdoor fireplace without worrying about exposing your guests to toxic chemicals, you can make your own scented pine cones by spraying them with cinnamon essential oil or placing them in a plastic bag with a few drops of essential oil. If you would like to make your own and are not interested in burning them, you can mix spices like cinnamon, ginger and cloves in a bag, coat your pinecones with glue or spray adhesive, and then place your pinecones in the bag with the spices and shake them up. 14. Simmered Cinnamon Sticks – An old-school way to make your home smell like Christmas is to simply simmer some cinnamon sticks over low heat on the stove. If you have a wood-burning stove that will be used for heat, you can also place a sturdy pot on top of your wood-burning stove with your water and cinnamon sticks inside. The most important thing to remember is to keep adding water, as needed, to keep your pot from boiling dry. 15. Simmered Potpourri – Similar to simmering cinnamon sticks, you can go a step farther and create layered scents with potpourri simmered on your stove inside or in your outdoor kitchen. Simply add your potpourri mix to boiling water, allow it to boil for a couple of minutes, and then lower the heat until you have a nice simmer. If you do not want to leave your stove on all night while you tend to your guests, you can also use a slow cooker to heat your potpourri. 16. Dry Potpourri – There is no lack of Christmas-themed potpourri mixes available during the holiday season. If you are not concerned about chemical fragrances, you can pick up a package of inexpensive potpourri just about anywhere, including Target, Walmart, drug stores and some grocery stores. You can often find all-natural options at health food stores, farmers’ markets or online. If you would like to make your own, you can mix your favorite Christmas scents, such as cinnamon sticks, whole cloves, star anise and dried orange slices in a bowl for a lightly scented centerpiece. For more fragrance, you will need to bolster the items’ natural scents with essential oils or fragrance oils. If you want to go this route, you will want to add a fixative, such as orris root powder, your potpourri mixture and the oils in a bag or jar so that you can shake it up to distribute the scent. It is best to store this mixture in a closed jar until you are ready to use it. 17. Fragrant Garland – Create a Christmas-scented garland by stringing together cinnamon sticks, dried orange slices and star anise. This option provides you with attractive party decor as well as holiday aromas, which can be bolstered with essential oils, if needed. 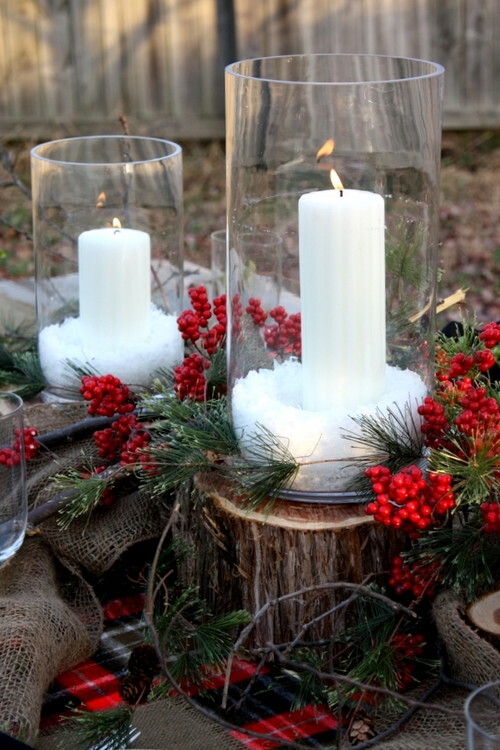 How do you bring Christmas scents into your home or outdoor entertaining areas?